Nearly all of the homes in Buffalo are super old. I like to think of them as antiques! Sounds better 😉 Our house was built in the 40s. There are so many homes with great character in our area. So this week, I scored BIG! I was driving to Home Depot (my other home!) and I saw a home that was getting all new windows. I flipped a U-ey and asked the window guys what they were doing with the old ones. One of the men looked at me funny and said “Um, we throw them away…” I immediately asked if I could have some. He said it was fine as long as I double check with his boss. Boss said yes and I scored SEVEN free adorable windows! They’re all rustic and chippy and beautiful! YAY! This got me thinking, what on Earth am I going to do with them all?? I mean, my 7 new windows brings my total to 10 antique windows I have lying around! I thought it’d be fun to round up some ideas for old windows in case you have some lying around like I do. 1. You may remember my kitchen has one that I made into a Weekly Menu Board. 2. 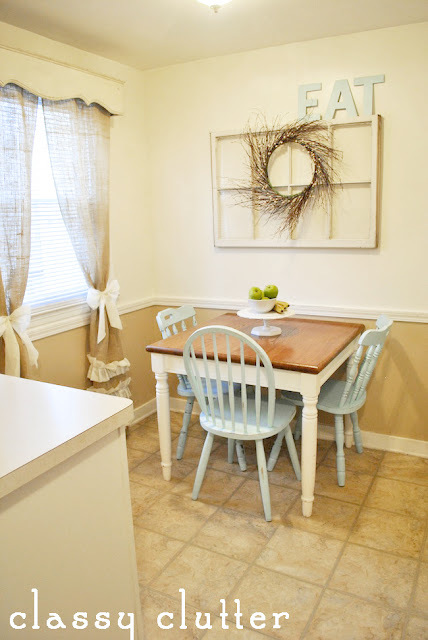 Also, my dining room has one that is being used as wall art. I love an old window with a wreath on it! 3. Add chicken wire and make an adorable Jewelry Organizer. 4. 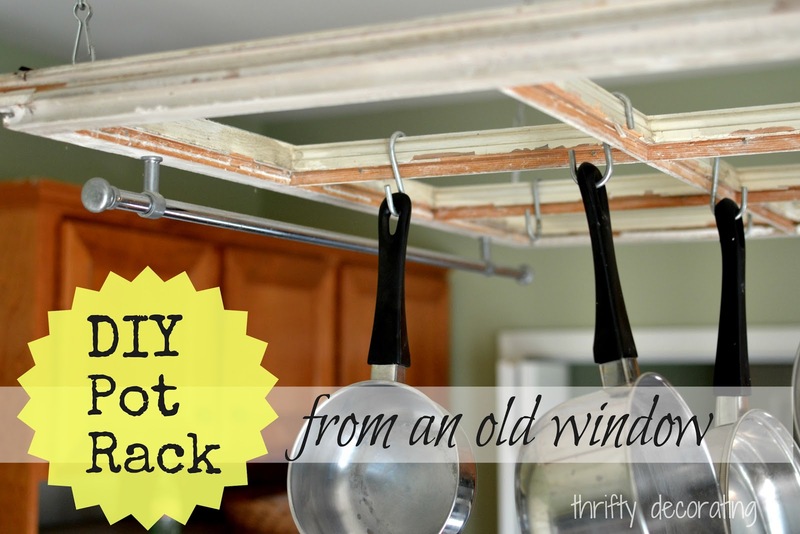 I loooove the idea of making a DIY Pot Rack out of an old window! SO cool! 5. Leave it to BHG to share this awesome headboard out of old windows! This would be a great guest bed idea! 6. The craft nest made this awesome mirror with an old window. 7. This upcycled window turned into a coffee table is so stinkin cute!!! Check it out on Cottag3. 8. Hang onto those windows for adorable Christmas decor like A Diamond in the Stuff made hers into an adorable ornament display! 9. The amazingly talented Kristen Duke shows us how to make adorable picture frames from old windows. How cute is that wall display!? Love it! 10. 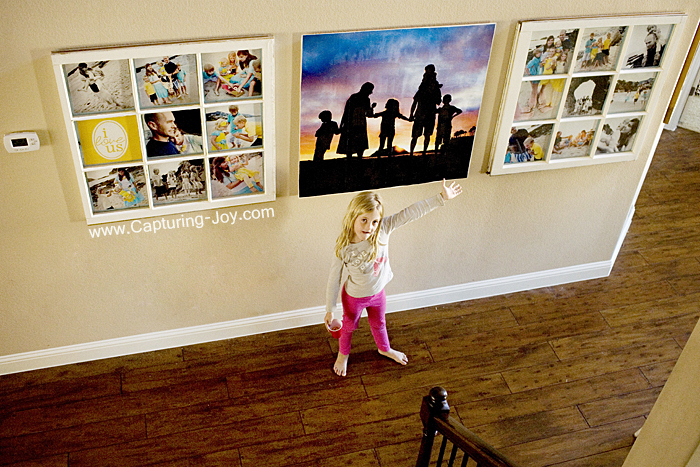 Finally, I LOVE how Savannah used these old windows as gorgeous artwork on her Chevron Wall. I love this look if you have a bunch of matching windows. 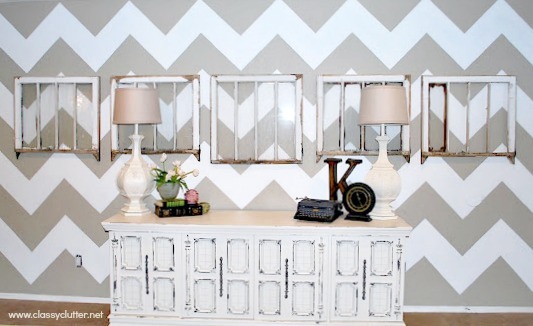 Check out her chevron wall tutorial here. Now I definitely have some inspiration for all those freebie windows I got! Have you made anything out of a window? Share a link in the comments! I’d love to see! Look what you may have missed this week! 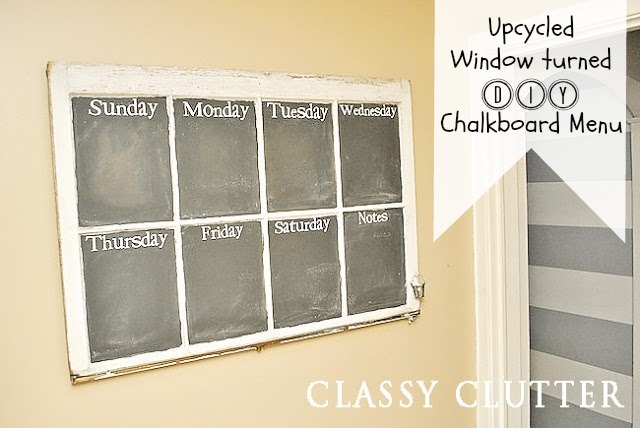 Clever and resourceful uses for old windows! Love them. One word of caution for the coffee table application… Old window panes didn’t have shatter proof glass, and the panes are generally thin. One accidental slip of a sweating glass of ice tea, or a playfully tossed child’s sippy cup (thinking of real life porch mishaps) could result in a big shard of razor sharp glass slicing a foot. To remedy this risk, you could place a piece of plexiglass, cut to fit, over the top. My father took 6 old farm windows same size and built a greenhouse that we use in my gift shop Tiki Oasis. It is also great to use as growing herbs or just putting different trinkets on.